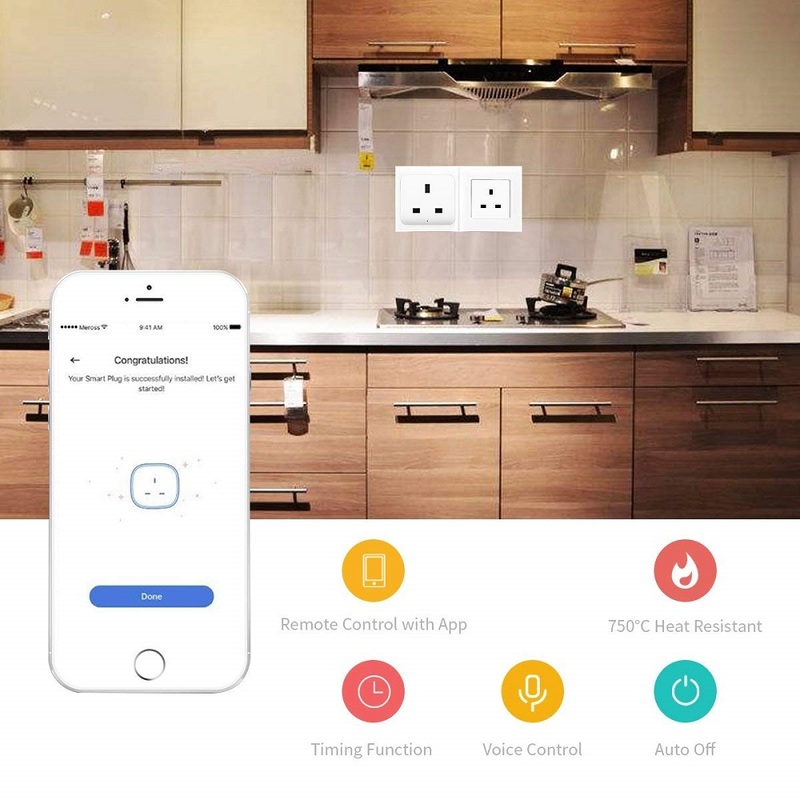 · REMOTE CONTROL: You can control the power-on/off via Smart Life App even when you are not at home. It's free download App from App store or Google Play, easy to use and install. · VOICE CONTROL: The Smart WiFi Plug works with Amazon Alexa, Google Assistant and IFTTT, works with 2.4GHz Wi-Fi router without the need for a separate hub or paid subscription service. · TIMING CONTROL: Schedule automatically. 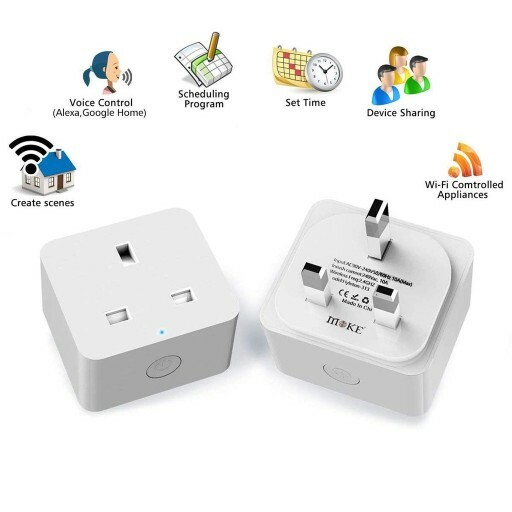 Create on/off schedules or set auto-off timer routine to work automatically. For example: schedule the air conditioner to turn on before you arrive. 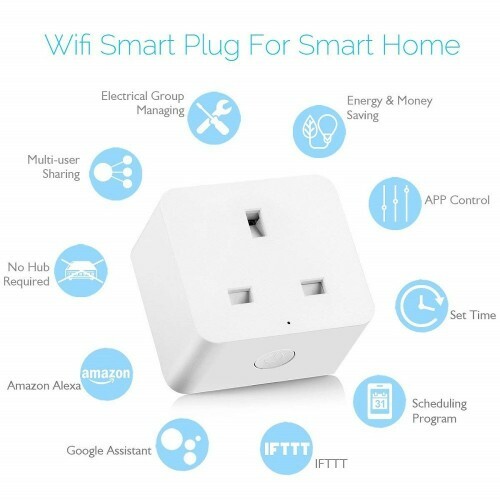 Auto-off function turns lights and other devices off after several minutes or hours every time you set them on. 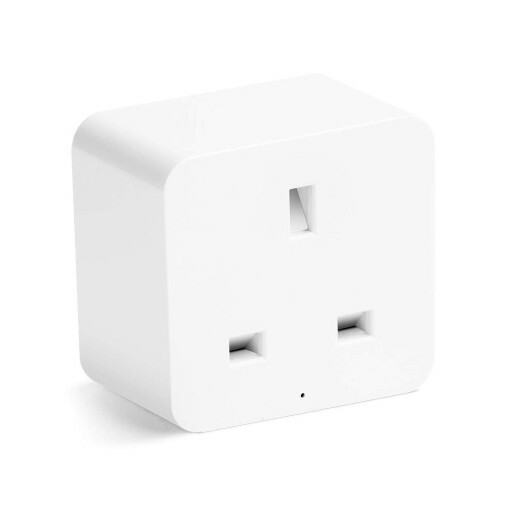 · HOME AUTOMATON: Turn on/off your home device at your fingertips to facilitate your life. 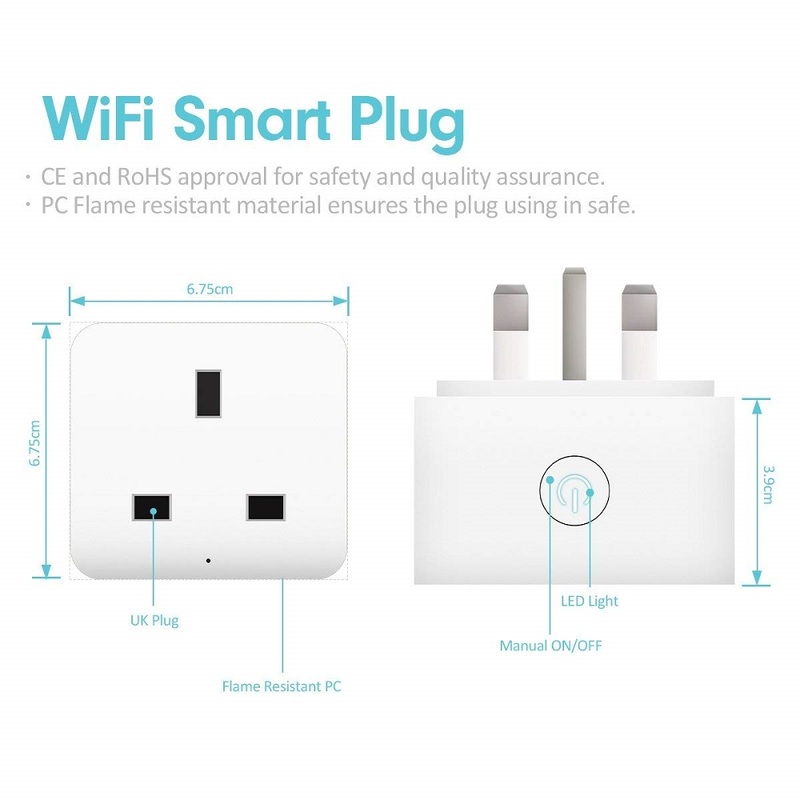 Universal for most electrical appliances such as fan, water dispenser, water heater, electric pots, TV, humidifier, light, holiday decorations and etc. 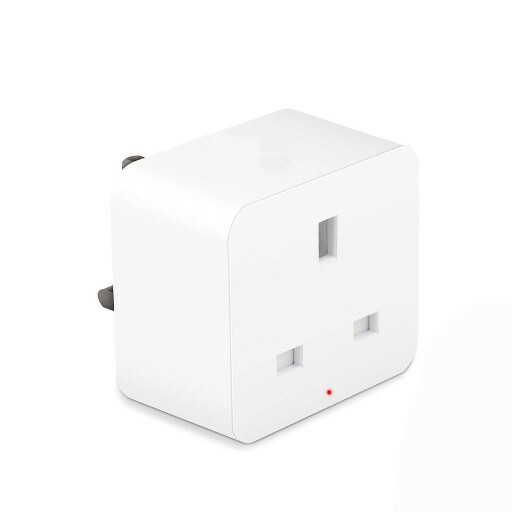 · SAFE & ENERGY SAVING: Smart Plug No hub required. 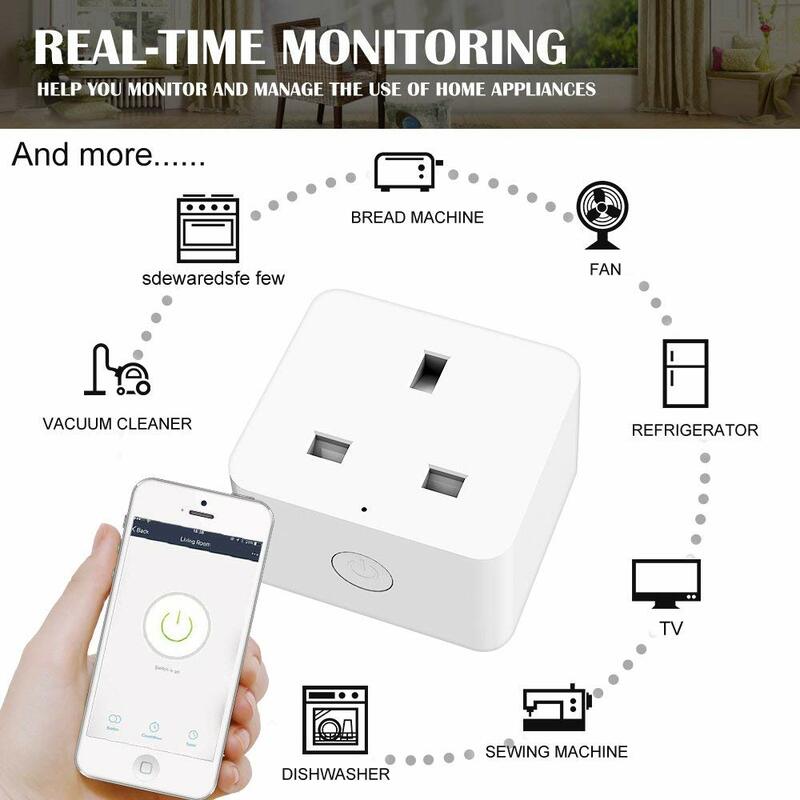 Remote control your electrical equipments with Security via Voice Control. 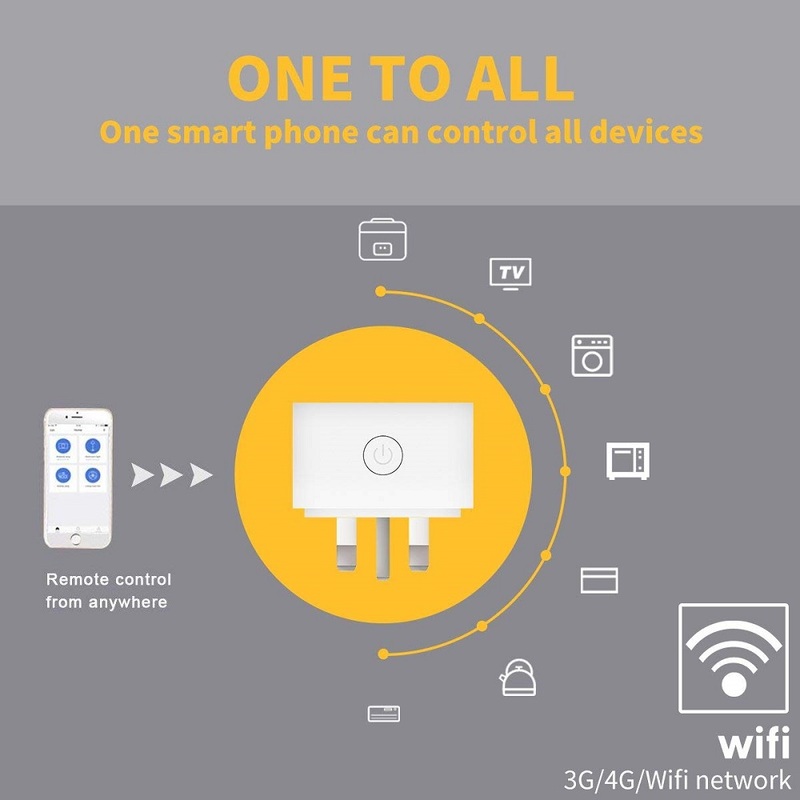 Built-in leakage, overload protection switch, supports Surge Protection and effective absorption of the sudden huge energy, protects the connected devices from damage. - Search for the "Smart Life" on the App store or Google Play. You can also scan the QR code in our User Manual provided. - Register/Login to the App using your phone number or email address. Verification code will be sent if you are attempting to register. - Select Add Device or the "+" icon. 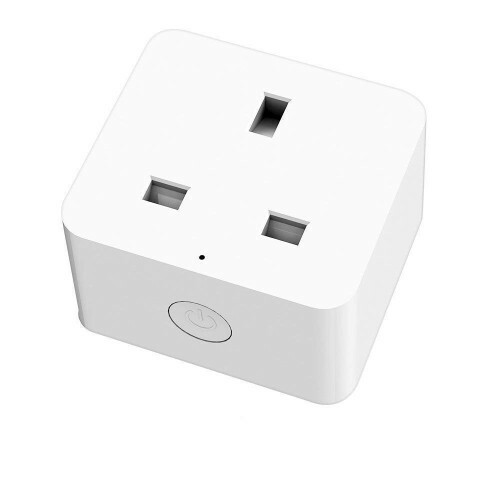 - Connect your device to a socket and Long press the on/off button for 5s until the light flashes. - Select the device and tap "Confirm indicator rapidly blink". - Input the WIFI password to your device and then tap "Done".